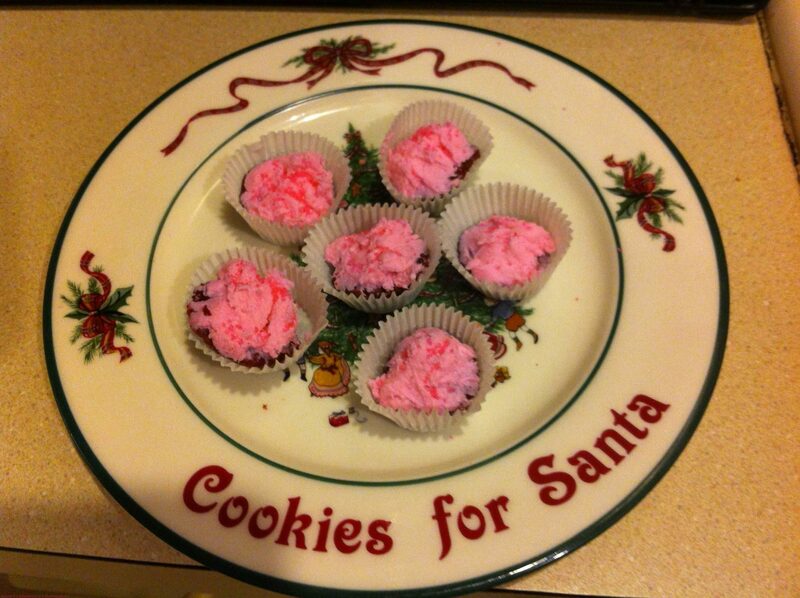 Easy Bake Oven-A Successful Christmas Gift for Little Girls for Over 50 Years! Visions of sugarplums danced in her head. My kids love my iPad and last year Emma, then Lily (too) became fascinated with an app, called Easy Bake Treats! for the iPhone, iPad, and iPod Touch. This app let my kids make, bake, decorate, eat and share yummy virtual cakes, cupcakes, cookies, and cake pops. Also now from what I recently saw (they still use this app), it apparently even allows them to make rockin’ pizza, too. All my kids have to do is to pick their mix, fill the pan with batter and water, mix it all together, choose an oven and slide the pan into the virtual EASY-BAKE Ultimate Oven to cook. One they are bakes and have been gotten out of the oven, then my kids are able to choose from an amazing number of delicious frostings and candy toppings or even pizza toppings to create their perfect virtual treat. Also, now they can even add candles to these cakes and cupcakes too! These candles can be lit and re-lit too for more fun, by blowing into your device or shaking the device to blow out your candles. Such a cute app seriously and truly brought back memories for me. I never did get an Easy Bake Oven, when I was a kid, because my mom honestly didn’t think it was worth the money and swore that we could back better in her oven. Didn’t stop me from wanting one though and secretly was envious of some of my friends back then that had one. So, of course, the app allows advertisements in it for the real Easy Bake Oven. Emma saw it before last Christmas and even told Santa at the mall that she wanted one from him for Christmas. So what is a mom to do, when Santa is brought into the equation? Well, this mom caved and found it on sale at Target (seriously I love this store and didn’t surprise me I found it there). So, I totally bought it and wrapped, too for her. On Christmas morning, it was there waiting under on the tree to be unwrapped by both my girls. 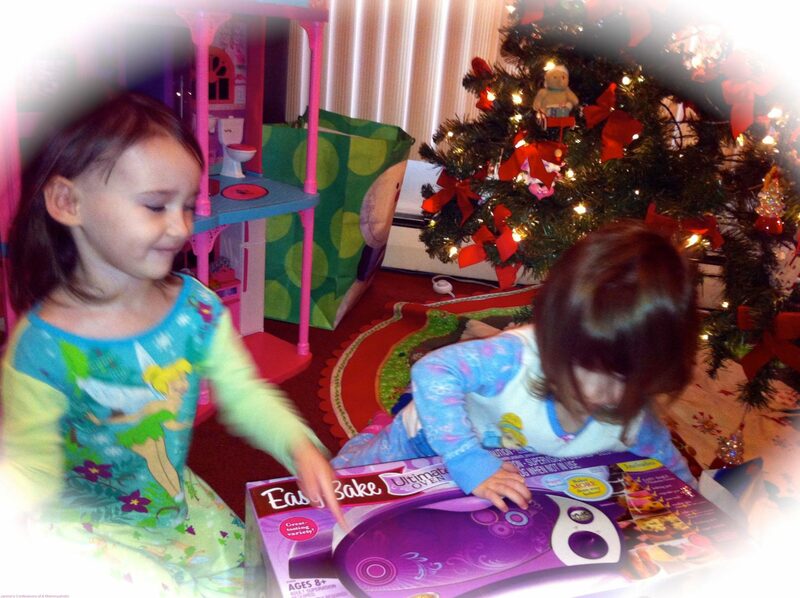 The Girls Opening Up the Easy Bake Oven Last Christmas! I remember how excited Emma was. She couldn’t wait to open up her oven and bake something for real. I quietly was dying to know how these treats would turn out being I indeed never had this toy growing up, but yes was still somewhere deep down wanting to use it, too. Christmas Day, we went to my in-laws, but that night she looked at me with her big, blue-gray eyes and I couldn’t resist. We tore in that box and set up the oven together (not sure who was more excited). From there, we followed the instructions and made the red velvet cupcakes. Of course, they had to be iced pink with sprinkles (she is so my child, because most know I still love the color pink)! Emma, got to try the first cupcake and declared it a success. The Finished Product-Red Velvet, Pink Iced Cupcakes! With another Christmas around the corner, I am not sure what will be the toy(s) to be longed for by my girls, but I still say you can’t go wrong withe Easy Bake Oven, which is a true classic (both Emma and agree whole heartedly). If you don’t believe me, take a look at the infographic, that Easy Bake Oven has allowed me to share with all of you now. Can you believe they just celebrated 50 years! Smile, While Trying to Remain Sane During the Holly Jolly Season…. I love that infographic! I had an easy bake oven when I was a little girl and I've seriously debated getting one for my little guy (as long as it's not pink because he wouldn't go for that lol). My recent post Would You Rather: Follow The Rules Or Cheat A Little? Didn’t know they still made easy bake ovens! So cute! I always wanted an Easy Bake oven growing up!! I am definitely getting one for my kids whether they want one or not! I think my older daughter will like it, she recently played that app or a similar one on someone else's iPad and she loved it. 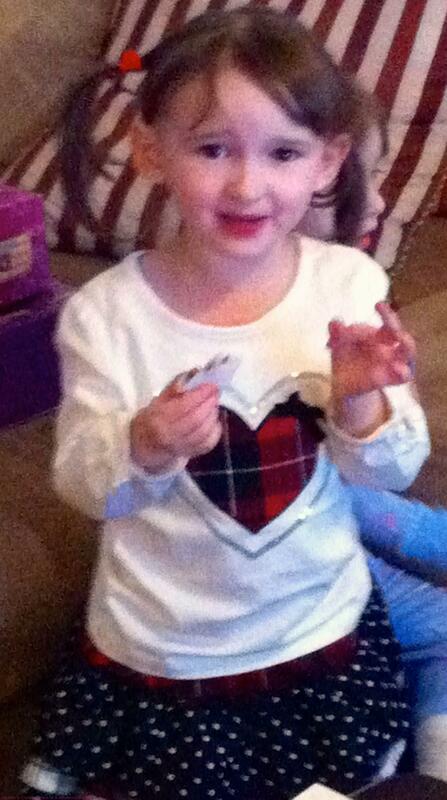 Last year we got my niece an Easy Bake Oven – she loved being able to bake her own creations!!! I will have to see if my sis-in-law knows about the apps! Confession: A friend of ours bought Cass an Easy Bake Oven, and we NEVER used it!!! We couldn't find a damn light bulb for it! Isn't that just shameful??? NEVER used!! Ugh. It's probably downstairs in the basement hidden in some box… with all the parts still wrapped and untouched. I love your confession and seriously trust me, we definitely have used the real oven as much as we would like (just not enough time I suppose), but the app is so much more convenient. So, I definitely recommend the app when all else fails (it has kept my girls quiet for hours!). I had an easy bake oven growing up and loved it so much. As soon as my nieces were old enough I bought them one. They have a lot more choices of things to bake than what I had and I love seeing their creativity. How awesome! I totally had an Easy Bake oven and loved it. Not sure what happened to my baking since then but…I think my boys would actually like this. They love helping in the kitchen and if they could bake their own treats? Well, that's a no brainer! I wonder do they still make the Queasy Bake? Time to hit Google! My recent post Leg Blaster – Workout Video! You are the marketing Queen of the blog world. I swear, Janine, what an incredible transformation from when you started out on HP. It really is a marvel to watch you grow your online business. Well done my friend. You know me … I wanted one of these so damn bad when I was little. I died when I got the infographic in my email … alas too busy to share right now. So glad someone did though! I still want one secretly … but don't tell Brian because then he'll expect me to bake more. now that is what you call a classic toy! I never had one and my kids' have never asked for one, but I definitely have heard of them many many times! 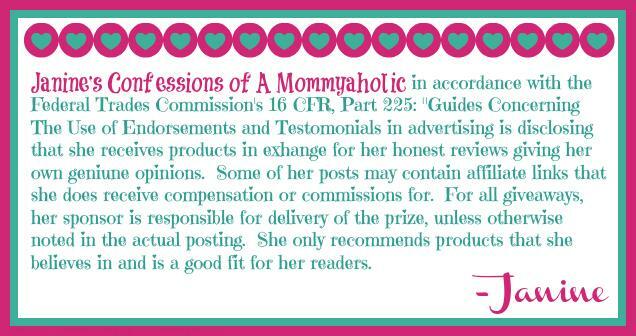 My recent post Awesome Info and Giveaway For Kansas Citians! Wow, did you put together that whole schematic? If so, very, very nicely done! I love the Easy Bake Oven. I always wanted one, nevr got one. So if I get one for the girls, it will really be for me! But I like the idea of the app even more. No cleanup!!! My recent post What on earth is NaNoWriMo? That was neat to see the evolution of the Easy Bake Oven! So cool! My recent post Hey It's Okay Tuesday! I never had one but my sister did and it was like the holy grail or something. I have to tell you that last night I found a kid mixer that really works, after my daughter started asking for a ($300) KitchenAid mixer for Christmas! My recent post The Truth Is, I’m Just Not Feeling It. That looks like so much fun!! How is the clean-up?? The cupcakes Emma made are adorable, and I bet the best cupcakes in the world!! I always wanted one but never got it. Funny, I'd still like to have one, lol. My recent post Its Time For Thursday Favorite Things! I just love easy bake ovens, I can't believe its been so long!! The apps are awesome! I just wish they weren't purple and pink- boys want to bake, too! I loved and played with my Easy Baked Oven growing up. I bought my special needs son an Easy Bake Oven when he was younger. We had lots of fun together. Thanks for the great memory. what an interesting infographic. i remember wanting an easy bake when i was a kid, but i don't think santa ever came through! I miss the days when I had my own easy bake oven. So much fun! I know it really is so much fun and glad to bring back memories Kristal! !